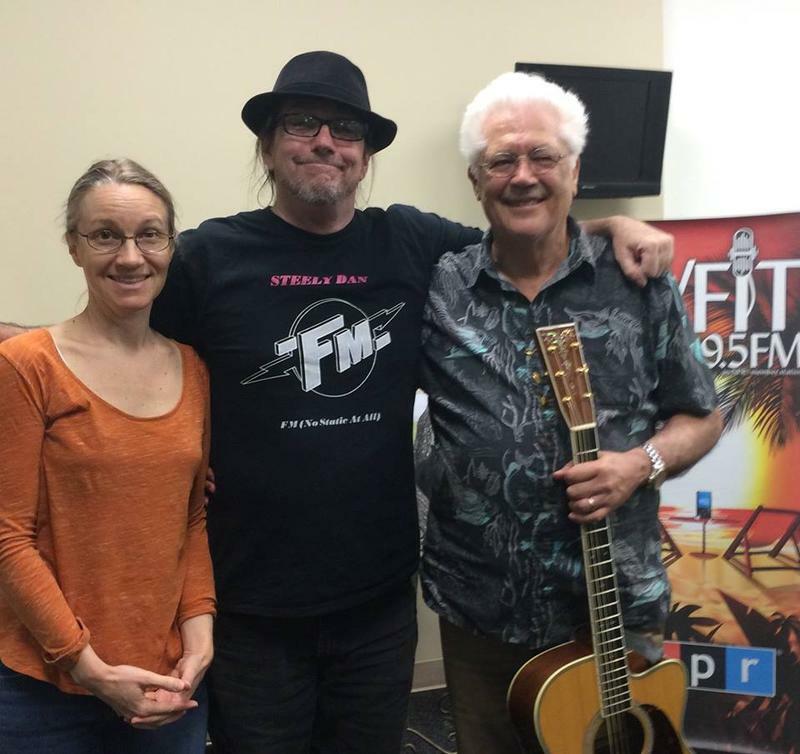 Legendary jazz/rock fusion guitarist, Larry Coryell joined me in the studio Monday September 26 to help me kick off WFIT's Fall Fund Drive. I'm celebrating 10 yrs on the air, and Larry was my very first guest. On my second day! Anja Conklin will be interviewed at WFIT 89.5 FM at 6:00pm by Java John Goldacker to talk about and play a couple of her original songs. Right after, she'll be performing at Florida Discount Music (FDM) Open Mike's from 7:30-9:30. LOVE 4 ORLANDO / NEW TIME / ANNIVERSARY! 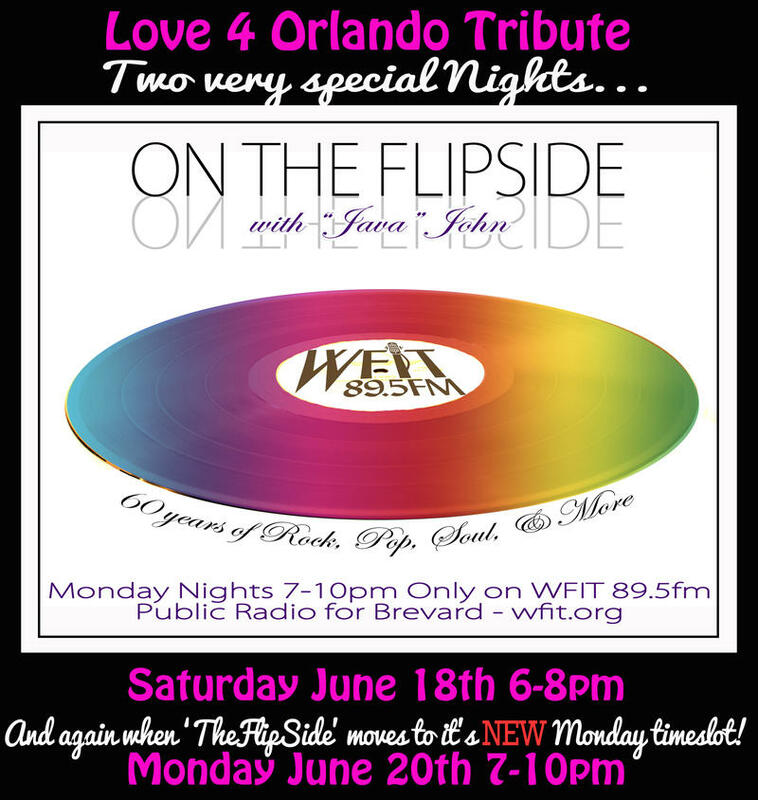 This Week on 'On The FlipSide' w/ Java John Goldacker (Saturday 6-8pm), I'll spend the whole show playing songs in memory of those we lost in the Pulse tragedy in Orlando last weekend. THEN I will continue that tribute on Monday Night when "OTF" moves to it's NEW TIME-SLOT!! Monday Evenings 7-10pm eastern time. 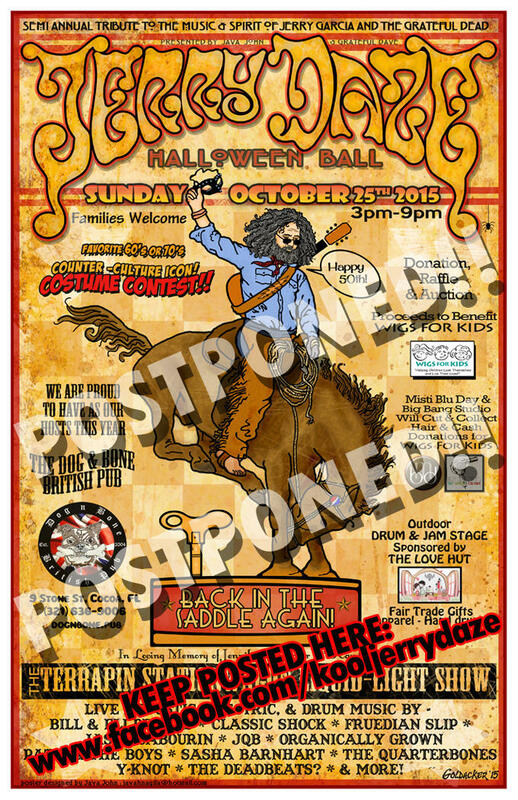 Join Java John on On The Flip Side for a special Halloween show Oct 31 following the FIT football game. 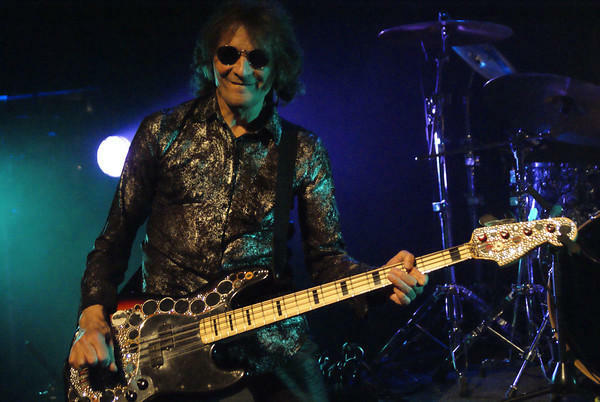 He will have an interview with Dennis Dunaway, the bass player and one of the founding members of the original Alice Cooper Group. They will discuss his new book "Snakes! Guilletines! P O S T P O N E D!! Bummer. Communication errors is forcing us to postpone. I will keep you posted here ...in several days.